Here's wishing all the readers of The Thrifty Mommy a very Happy New Year!! Thanks so very much for all your support this past year and including The Thrifty Mommy as part of your day to day savings!! We love having you here and look forward to 2010!! Perhaps your craving a meal out with the family....if you have a Fuddruckers nearby they are offering a deal to Feed a Family of 4 for Just $20. You can view all the details on the coupon here. Click here to sign up for a Free sample of Galaxy Granola. Choose from Vanilla Almond or Not Sweet Vanilla. Limit one sample per household. Payless has just put out a new coupon.....you can save both on-line and in-store. Save $10 off a $50 purchase online by entering coupon code: 30314 at checkout. Shipping is a flat rate of $5.95 or avoid shipping fees and pick-up at your local store for FREE. Rather shop in-store? Then take this printable coupon here with you and save 15% off your entire purchase. While in-store look for select clearance merchandise and save up to 50% off regular prices!! Here is a freebie for the pooch in the family....a Free Natural Nibbles Dog Treat sample. Not sure how long they will last....so hurry and request one if you'd like. Bring Your Own Bag and Save at CVS!!! I popped into CVS this morning....for the 1st time in about 6 weeks or so (Slacking, I know) and as I was checking out the nice associate recognized me and asked if I had a new Green Bag Tag card yet? I replied "No, I do not" and she handed me one, while stating that CVS is going green. This is how it works: You purchase a Green Bag Tag for just $.99 at your local CVS store (It is a leaf shaped scannable card that attaches to any reusable bag of your choice). Then each time you visit CVS bring your reusable bag, the associate will scan your Green Bag Tag card (along with your Extra Care card) then on the 4th time they scan it you will earn a $1 Extra Bucks that will print on the bottom of your receipt!!! How cool is that!! I was excited about it, anyway!! Still Need 2 Get Portraits Done? Maybe you ran out of time to get the Holiday pictures done? Or perhaps a birthday is fast approaching? Or maybe just because? Well, if you need to get the kiddies pictures taken...now is a great time!! The Picture People is currently offering a $9 Portrait Special. You get (1) 8x10, (2) 5x7, and (8) wallet size portraits. All taken from the same pose. There are no sitting fees either. Simply click here to print your coupon to take with you. To find a studio near you click here. Hurry, this offer expires 1/3/2010! Free Gifts To Grow Points!!! If you are collecting Pampers Gifts to Grow codes here is a new one you may want to add to your account if you have not already: HappyHolidays10. This code expires 1/2/2010 and will add 10 points to your account. They have just recently changed their points system...meaning 10 points now equals (1) point on their old point scale. You can see the details here. Not sure how the Gifts To Grow codes work? Click here6 for all the details!! Well, the BIG day is almost here....the deals have been found, purchased, wrapped, and now it's time to celebrate and spend some time together with family and good friends!! Over the next week postings will be alot lighter than usual and there may even be a day or two with no posts at all!! I hope you and your family have a wonderful holiday....and Thanks again for stopping by The Thrifty Mommy time and time again!! I hope you enjoy what you find here and are saving a bit of money along the way as well!! One Day Wonder Sale This Saturday at Old Navy!! This Saturday, 12/26 Old Navy is having another One Day Wonder Sale...this week it's all about Jeans!! Adult jeans will be just $15 (Reg. $29.50-$34.50) & Kids and Baby jeans are just $10 (Reg. $16.50-$19.50 ) select styles only. Note: As with all One Day Wonder Sales at Old Navy this offer is valid in-store only. Here is a printable coupon for $5 off a purchase of $15 or more when you pay using your Visa card at participating T.G.I.Friday's restaurants. Coupon is valid through 12/31/2009. 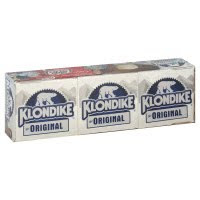 Klondike has recently started selling Klondike Bars without the foil wrapper....not to worry they still promise to taste just as good!! So as a Thank You for still loving the non-wrapped yummy treats they are offering a $1.00 off printable coupon. You can Click here to get yours. (It lets you print 2) Oh....and if you have a ShopRite around head on over with this coupon before Saturday 12/26 and get a pack for just $.99 after coupon!!! What a deal!! Save 50% Off Any 1 Item at AC Moore!! Still have a thing or two to pick up at AC Moore before the holiday is here? Well, today is the day to get that errand done!! Today only 12/23, AC Moore has a great printable coupon here for 50% off any 1 regular priced item. There is a limit of one coupon per customer...and a few exclusions as well. Be sure to read the fine print. Shape Magazine....Just $1.99 For a One Yaer Subscription!! Today, Tanga has a one year subscription (12 issues) of SHAPE Magazine for just $1.99. Simply use code: 8249 at checkout to get this discounted rate. One Day Only Specials at IKEA!!! Starting the day after of Christmas IKEA is having a Daily One Day Only Offers Sale!! With savings from 20%-60% off!! Plus, from 12/26 through 1/3/2010 there will also be an item each day at an incredible low price!! You can view all the daily sale items here. Where you can also see color options as well. In addition to the Sale....The IKEA restaurant will also be offering a FREE small breakfast to shoppers on 12/26 through 1/3/2010. Valid until 11am. Or if you prefer to head to IKEA later in the day and Kids Eat FREE after 11am until closing from 12/26-1/3/2010! 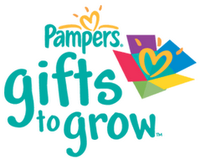 If you are collecting Pampers Gifts to Grow codes here is one you may want to add to your account if you have not already: welcome2village. This code will add 10 points to your account. Planning a trip to Friendly's with the family? Here are 2 coupons...one is for $5 off a purchase of $25 or more and the other is for a Free Kids Meal. Both coupons expire 1/31/2010. Right now Tanga has Working Mother Magazine for just $12.99 for an 8-issue susbsciption. Use coupon code: c545 at checkout and the price drops down to just $3.00!!! That includes shipping too!! I am sure this deal will not be around long....so jump on it if your interested! Have a Waffle House Nearby? Well, if so here is a printable coupon for a FREE Sausage Biscuit at the Waffle House. No purchase is necessary to use the coupon. Coupon expires 1/8/2010. Would you like to receive coupons like this directly to your email from Waffle House? Click here to sign up to join their email mailing list. Thinking of Guac or salsa with chips this holiday season? Well, here is a coupon for Buy One Get One FREE good on any Wholly Guacamole or Wholly Salsa. Coupon expires 01/10/2010. Need some Pepsi on hand for the upcoming holidays? Well, this week (Through this Thursday 12/24) Target has Pepsi 12 packs & 6 packs (24 oz. bottles) On Sale for $2.29 each. There is a printable coupon here (for me it was on page 7) for $1/1 on either of the two items listed above. So after coupon pay just $1.29!!! It lets you print the coupon twice. Coupon expires 1/16/2009. Note: It appears in some markets the sale price is $2.50 instead of $2.29...just a heads up! Well, if you are not already a fan of International Delight on Facebook then you may want to become one...and fast!! They currently have a posting on their page stating "There will be a very special holiday treat starting today at 11am EST". If you remember not that long ago they offered a coupon for a FREE product to the first 25,00 fans who responded to the offer. Let's hope it's a similar coupon this time!! Click here to become a fan.....and good luck!! See any other great deals this week at Shop Rite? If you'd like to share a deal you've found please share it in a comment!! 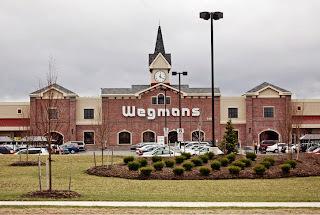 See any other great buys at Wegmans this week? If you'd like to share a deal you've found please leave a comment with all the details!! 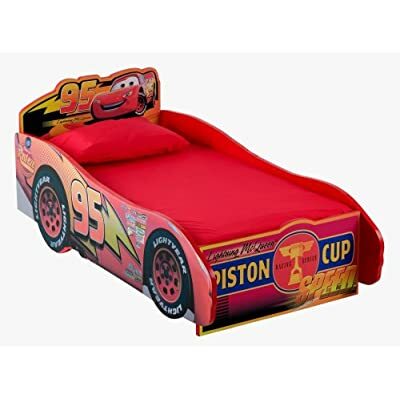 CARS Toddler Bed 4 Your Little Race Fan!! Amazon has this Disney Pixar Cars Wooden Toddler Bed for just $28.50 (77% Off) and that includes FREE super saver shipping. It will not arrive before Christmas with the free shipping option, but you can upgrade to Standard shipping if need be to receive it in time for the big day. I'm sure this one will go fast...so hurry and jump on it if your interested! 2 Toys Deals...For the Girls!! Save In-Store at Walgreens...TODAY only!!! Lowe's Build & Grow Clinic This Saturday!!! Ipod Deal...If Your Looking For One!! Free Song Download...For The Kiddies This Time!! Campbell’s Select Harvest Soup Deal!!! Looking 4 a FurReal Friend? A Great Deal If You Have a Little One!!! A Few Great Toy Deals...Courtesy of Amazon!!! Fun For The Kids....And Functional Too!! Great Printable for The Christmas Tree Shops!! Need a 2010 Entertainment Book? Printable: For Those With Pups!! Good Deal Alert...Fisher Price Trike!! Save 40% Off...Plus Free Shipping At Borders!! Great Deal on a Trike.....If You Need One!! 275 Calories for Just $2.75!!! Free Aveeno Sample via Facebook!! Macys: Printable & A One Day Sale!! Great Gift 4 An Elmo Lover!!! Breakfast For a Buck at Jamba Juice!! For Those Looking for Thomas & Friends Deals!!!! Become a Fan...Get a Free Pint!!! Looking For a New Carseat??? Thinking About Halloween For Next Year???? Step 2...12 Deals in 12 Days!!! Bring In a Can....Get 25% Off at Pei Wei!!! Fun Holidays Crafts at Michaels This Saturday!!! It's Gingerbread House Building Time!! !